Great, entire staff was very helpful. I will keep coming back to Trinidad Toyota for all of my cars. Amazing customer service and effective response to issues. Great people and service. Car was taken car of correctly and price was fair. Entire staff that I encountered from management to receptionist was friendly, attentive, and helpful. Salesman who worked with me went out of his way to answer questions, find the right vehicle, and get me the best deal he could. Finding the right new or used car for your life and your budget can seem like a daunting task before you get started. At Phil Long Toyota of Trinidad, we can get you off to a great start (and finish!) with a wide selection of new Toyota and Certified Pre-Owned and used models from a variety of automakers. We call Trinidad, Colorado our home, but we’ve been successfully serving drivers from all over the state since 1945. Whether you come from Alamosa, Farista, Colorado City, La Junta, Fort Garland, Colorado Springs, Pueblo or beyond, you’ll always find a smiling face to greet you and incomparable selection at Phil Long Toyota of Trinidad! From our new and used vehicle selection to our professionally-staffed service center, Phil Long Toyota of Trinidad will satisfy all of your automotive needs. 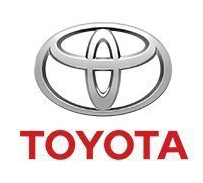 Whether you’re looking for a new Corolla, Camry, Tundra or other Toyota car or crossover, we’ll listen to your needs and your budget concerns the first time. We pride ourselves on being able to find shoppers the car they want at their price point without resorting to industry tricks or dishonest dealings. If you’re ready to be treated like a member of our family, give Phil Long Toyota of Trinidad a call or stop by today!